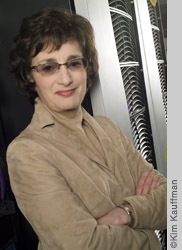 Magazine assignment: executive andeditorial portrait made on locationof the State of Michigan IT Directorat a computer center in Lansing, MI. 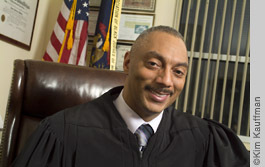 This editorial photograph is an executive portrait of a Judge in his Detroit office. 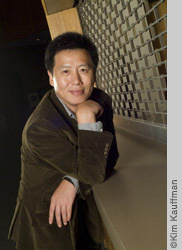 The portrait was made for use in a magazine and web sites. 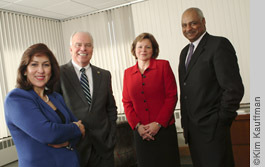 Hired by an art director, this executive group portrait in Lansing by photographer Kim Kauffman was made on location for editorial use in a magazine. Group portrait made on location in Flint,MI in collaboration with an art directorfor use by a hospital in brochures andadvertising. 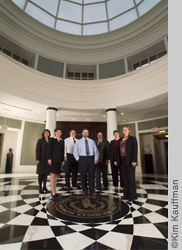 Group portrait made on location at the Stateof Michigan Hall of Justice Building inLansing, MI in collaboration with CorporateCommunications Director for use in amagazine, brochures and a web site. 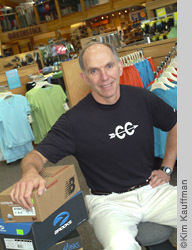 Location portrait in Okemos, MI - editorial photography of an entrepreneur. 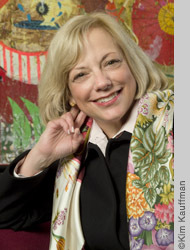 This portrait was made for a magazine through an art buyer. Location portrait of an educator for a magazine. This photograph was assigned by a Communications Director. Location executive portrait of Dean Marietta Baba for public relations use. 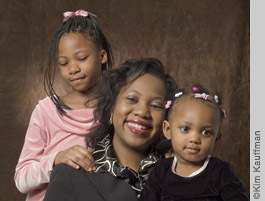 Location group portrait of mother and daughters for advertising brochures and PR. 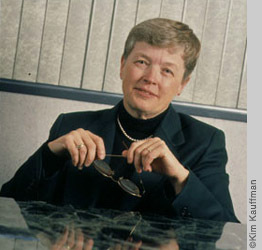 Executive portrait of past Michigan Governor Jennifer Granholmfor public relations made on location. 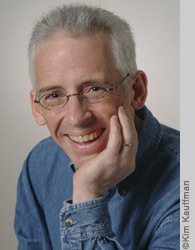 Studio portrait of "Frazz" cartoonist Jef Mallett for public relations use. 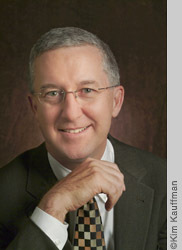 Executive portrait done on location for advertising,brochures and general PR use. 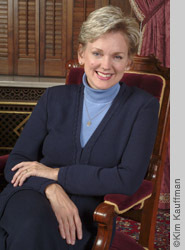 Executive portrait of MSU President Lou Anna K. Simonfor PR use. Portrait of educator created on location for use in magazine and public relations. 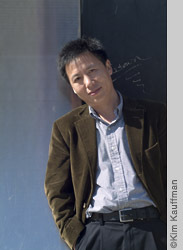 Additional portrait of educator created on location during same take (see above) for use in magazine and public relations. 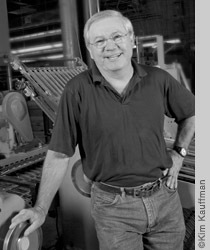 Business portrait of printer made on location for use in advertising, brochures and PR.